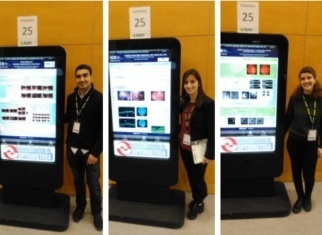 The 3rd Symposium of Clinical Optometry ICR was held on the 1st of June at the Medical Association of Barcelona. This symposium was organized by the Department of Optometry of the ICR. Four sessions were developed with numerous presentations by experienced optometrists who addressed the ophthalometric management of intraocular lenses. After the success of the 1st Symposium organized in 2016 to celebrate the 25th anniversary of ICR and the 2nd Symposium that took place in March 2017, more than 200 participants attended this year’s symposium, which confirms that the annual symposium organized by the Department of Optometry of the ICR is already a reference in the sector. The ICR is an ophthalmological and optometric reference center in our country, with a highly qualified medical staff, the most advanced technology and a remarkable experience in the implant of intraocular lenses. 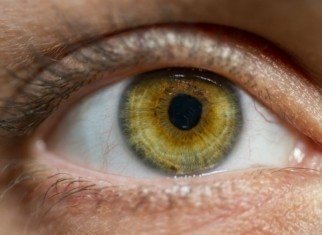 Nowadays, cataract or crystalline lens surgeries are increasing day by day and, in many cases, require the implantation of intraocular lenses. The symposium was as a meeting point for professionals in optometry, where they had been able to share, transmit, discuss and exchange skills and knowledge on the management of this type of lens. The first session was presented by the optometrist Jordi Nomdedéu who explained the different types of intraocular lenses and the criteria for choosing the intraocular lens, according to the needs of each patient. In this session, four papers of great interest were developed in which the preoperative tests were presented and the most important exams to ensure surgical success were described. It was placed special emphasis on biometrics, corneal topography and the defocus curve. The optometrist Isabel Isábal was in charge of the first presentation,in which the diagnostic tests performed in the cabinet were exposed and the most used refraction techniques to obtain the best results for the patient were discussed. In the second paper presented by the optometrist Raimon Escudé, he explained the importance of performing corneal topography for preoperative assessment and improvements in the measurement of total corneal astigmatism. The third presentation, which was given by the optometrist Lluís Solà, addressed the performance and interpretation of biometrics as well as the calculation of the power of the intraocular lens in standard and special cases. In the fourth paper, Dr. Consuelo Varón, professor at the Faculty of Optics and Optometry of Terrassa, explained what is the defocus curve and gave tools to analyze the visual performance of the implanted lens. 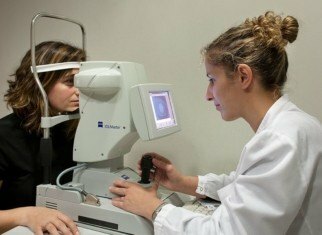 The optometrist and coordinator of the Department of Optometry of ICR, Lluís González, explained the role of the optician-optometrist in the Fundació Martí i Bonet contra la Ceguera. Carlota Solanich, surgical nurse at ICR, explained during her presentation how is the surgery with an ocular lens and the connection that exists between the surgical act and the clinical tests made by the optometrist to guarantee the best refractive result. In this session, the optometrists María Ferraz and María Izquierdo carried out two presentations in which clinical cases were analyzed, the recommended action to understand the surgical results of the different ocular lenses was described and guidelines for the correct refraction of the patient were established. The ICR, which is an innovative center, allowed Internet users to follow the symposium on social media. This has permited those interested in the symposium to visualize live presentations for a few minutes, sharing the knowledge transmitted during the sessions and boosting interaction with other optometry professionals and with social media users.